We’re a family business that builds homes for families. Stepper Homes was born in 1956. Our founder, Rudy Stepper, emigrated from Germany to Calgary in 1953. He didn’t have much money, but he did have natural ability as a woodworker and a capacity for hard work. He built his first home in Bridgeland in 1956. Soon he was building homes all over the city for families just like his own — he married Erna and together they had Rose, Harry and Sylvia. Of course, they lived in a home they built themselves. 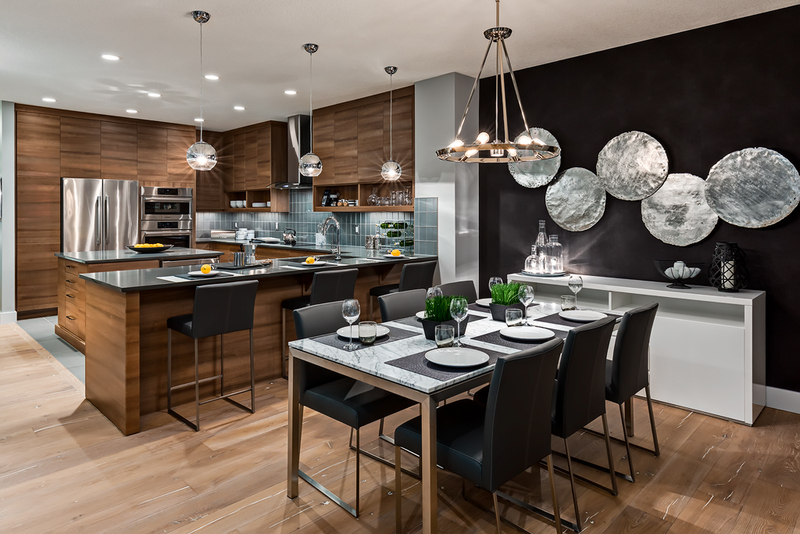 There are Stepper homes all over Calgary and beyond. In fact, Stepper has built family homes in over 50 neighbourhoods in every quadrant. From Mahogany in the southeast, to Panorama Hills in the northwest, from Shawnessy in the southwest to Saddle Ridge in the northeast, over 8,000 Stepper-built properties are the pride and joy of generations of homeowners. We remember the family man and master craftsman Rudy Stepper in every home we build. He was proud to call this land his home. We love it here. the whole Stepper building experience was smooth and trouble free compared to what we were expecting based on our friends/family experiences with home construction with other builders. We absolutely love our house!! Overall, recommendable to friends and acquintances. Thank you very much stepper home providing us such a beautiful house in good price, we are really happy to buy stepperhome and this is our first experience with stepper, we hope everything going well and in the future we will definetely Recomend our friend and family to go with stepper home. Jesse has been great to deal with has communicated with us very well very professional and a pleasure to work with. Dan was a pleasure to deal with. He is extremely knowledgeable in his craft and went over and above on everything. As a first time home buyer, I would strongly recommend Dan, Carmen and the rest of the Stepper team to help put you into your new home. Had a great experience buying first home with Stepper Homes. Searching an ideal home was a difficult based on our previous searching experienced. But when we tried to enter Legacy Community with Stepper Homes as the builder our searched was over and finally we found our ideal home and community as well. Very happy with quality of everything and not having very many problems and they come quick to fix things. Excellent builder. We have referred Stepper Homes to 4 friends who are looking for a new home. We know they will love Stepper as we did. A good company with good products. Building with stepper was enjoyable. It’s just the little things that definitely need more attention. Paying a little more for a better quality paint would be a huge difference in the complaints. Also with the trades hired they need to understand that people live in the home and cleaning up afterward needs to happen. Having a sandy beach inside my house is not okay. It's been a surprisingly pleasant experience. I was expecting to it be challenging. It was a good experience. I have not hear the same from people who have dealt with other builders. The only other issue I didn't mention - do not use the paint that was used in my house in the future. The quality of the paint is very low and this is the first thing that I will change in the future. Excellent service and warranty staff at Stepper. Very happy with our house. Feel the choices on everything were a push, didn’t get everything that was chosen. I would like to say that we are completely satisfied with our new house and definitely recommend stepper homes to our friends and family. I am very happy with my overall experience with the entire company. Especially with the site and warranty supervisor they have been amazing with helping us with fix issues. Jessie (warranty site supervisor) he is a wonderful guy, he knows what he is doing with exceptional customer service going above expectations. He is always nice and willing to help. He never turns us away. Sales manager Mark is a nice guy, he is always willing to help and has always answered all our question no matter what question it maybe. He has never left any questions unanswered even if it means obtaining a phone number. Real pleasure working the entire company. Experience has been thoroughly enjoyable. Most of my experiences have been with Remi and Curtis. These guys are awesome to work with and have been committed to ensuring our home is ready to be lived in and that smallest details are being taken care of. Our experience with everybody we have meet so far has been great, all have been helpful, accurate and friendly to deal with. Looking forward to seeing our house built and moving in. Very happy with the builder. They helped make an earlier close date. We have referred our friends to the Stepper, one of our friends purchased and home and moving in June. Thank you for the great work, so far we are happy. Excellent service! Couldn't ask for a better builder. Keep up the GREAT work! Overall it has been an excellent experience so far. Mary has been especially helpful answering any questions and relaying information. We highly recommend Stepper Homes to our friends and family members. Our experience with them has been awesome. Overall you've been an exceptional builder to deal with. I'm happy we built with Stepper and not the other builders. We are happy with the quality and workmanship of our home overall, exception would be the cabinetry as it was left looking somewhat unfinished, as though it needs another coat of paint...there are various scuff marks left from when they corrected the cabinet above the stove, and overall has a low sheen and unpainted edges. Dan Cryderman and Carmen Jacober were excellent to work with throughout this process. They both exceeded my expectations with reliability and customer service. Any questions I had were acknowledged and answered in a very timely manor. I have nothing but good to say when it comes to Stepper homes and the employees I have dealt with. Thank you! So far our buying experience has been pleasant with stepper homes, and we hope it will continue in to closing and beyond! Great experience, only thing I would like to share is, actual builders/contractors should put more heart into their job, I understand that is a mass production and it's not a high end home but they could pay more attention and do good job with finishing, detailing like wall corners that's additional 5min extra job with sandpaper before was painted., visible lines between walls and ceilings. Contractors should have a sense of aesthetics, i.e. wood work at the deck where side panels are not identical length, electrical and pluming should be more stream line, last ting is, in the Era of fast internet and advanced technology there are only 2 (two) Cat5e cable for whole unit for network connection! One network jack at the living room and one at the master bedroom. Other rooms has no connection options at all. Those things are just to give you an idea for future builds. Other than that, we are very satisfied with our townhome, feels like a home! Stepper has a BEST Quality/Price in our opinion (we compared with many other builders). Good job guys!!! Thank you very much. The length of the process of completing the home is too long. Things still unfinished. As well, they put in a two piece tub, which should never be put into a home. I have had a fantastic experience with stepper and especially Jesse! He was absolutely wonderful and fixed any issues we had promptly. He is a great person! Really easy to deal with. Jessie hog was main guy and he was great. Knowledgeable and easy to deal with. Timely and friendly. They took the feedback that they would go back to the subcontractors. Show concern for the issues at the time. Thank you Stepper Homes! Especially Remi and Curtis for going the extra mile for us and also shout out to Christie and Mary for always being there for us when we needed questions answered, papers filled in and making us feel special. The Cochrane staff are awesome! So far in my building process, I couldn’t be happier. Tyler has been amazing to work with. The progress on the home has been great. We feel we have made the right choice with Stepper. Dealing with John has been impressive (Remi too). On a quality level, I feel stepper is excellent overall. One area we've had problems with is all the interior doors - almost every single one has had to be adjusted. The door hinges also have a black grease which leaves splatter on the door casing - even 6 months later still has to be continuously wiped off. I realize as the house settles there will be issues, but this appears to be more of an installation/quality problem. Despite of some problems we had an exceptional experience with Stepper Homes. Each team member who worked with us, gave their 110%. Would love to mention their names personally... 1) sales team -Tyler and Jeff (always worked late because of our meetings) 2) design team- Stuart Clare and Kristine (bared with us through all the design changes ??) 3) site supervisor- Stuart Clare and Jeremy (made sure everything was perfect) 4) warranty supervisor- Jesse Hog (always a phone call away) ... all of them were great to work with and they all went an extra mile to get us what we wanted... kudos to all the team members ???? and a big thank you to Stepper Homes for our dream home !!?? It is my first home so it has been learning curve. I am sure that there are going to be things that arise but I am sure we will deal with it. The one complaint is that the sidewalks are left very muddy. The garage date keeps getting pushed back. Originally the last week of October and now its the first week of December. We have been very satisfied and happy with our Stepper Home and each representative was friendly and easy to work with (Tyler & Michelle, Christine, Rob & John) My one concern comment is that the interior walls pick up / scratch / mark to the slightest of touches which had us concerned on coats of paint used or quality of drywall. 2 Miscommunication points during sales process was availability of having larger windows in the basement and intent on adding barn door in future (which could have ideally used reinforcing). The whole Stepper team is amazing! Really make us feel that we matter. No major issues and everything has been pretty straight forward. So far I haven't really needed lots of help. It would be much more convenient if you guys will adapt an electronic signatures for extensions on the conditions. I was living in downtown and had to come for couple of weeks all the way to Legacy to sign an extension. That was super inconvenient at the times. Other than that good experience, happy with the home, will recommend to friends and family. This has been the best experience we have had dealing with the home builders staff . We've had a great experience with Dan and AJ at Stepper! They've been consistently available and able to answer (or find someone to answer) the questions we needed along the way. I would like to see more direction around exterior colours, as we had to define our colour palette three times. Our initial experience with Coast was complicated and frustrating, but once Shauna stepped in that came together much better. I'm unsure at this point whether the budget ($500) for the "Spruce it Up" landscaping will be sufficient, as I retrieved a price sheet from them, but will comment on this at a further point once we make some purchases! Everything has been handled with care and concern and if anything needed attention it has been taken care of in a timely way. I am very happy with Stepper homes and all of the people that make them a great company. Josh, Megan, Remi, Brad & John have all been great and really showcase what a great company stepper is and the valuable people they have representing them. We have really enjoyed working with Stepper Homes thus far for the development of our first home. The only recommendation that I would like to make would be to to provide more information about the community. We did not know that there were going to be sound bearing walls placed around the community or that there were going to a few ponds made for recreation purposes. We also did not know that this was purposely being done to make the community more green and unique. We still love our house and neighborhood but I feel like this would really help others seal the deal as people look for this. Our lot also does not have a sold sign in the front like other developers. This is our first house and sometimes little things like a sold sign add to the experience and excitement for a future home! Thank you for doing an amazing job and we hope you can take our comments into consideration. Overall my experience with the staff at Stepper has been amazing. The staff have been very courteous, polite and responsive and show a genuine interest in their client. Throughout the process the staff have extremely helpful and gone out of their way to keep me informed. The Information concerning the closing of upgrades could have been a bit more in depth with numbers provided pre final sign off to enable some time for decision making. Additionally once sign off was achieved it would have been good to get a schedule of events from then to a proposed completion date. As I do not presently live in the province this information would be extremely valuable for my personal planning. Jesse Hogg is a huge asset to your company. We were already very happy with our home when we moved in, but Jesse went above and beyond in the last year. I would highly recommend Stepper and Jesse to my friends and family. I love our new home! People have always been very polite and quick to respond. Customer service would bring us back to Stepper, and would be the reason we would recommend Stepper. very good relationship with all personnel - thank you! All the staff at Stepper have been great to deal with; Jesse Hogge is particularly good - efficient, timely, knowledgeable-- at his work. This is our second purchase from Stepper and we have been more than satisfied with the first home and have been well taken care of this time with this new purchase. We appreciate the care and concern that each person that we have come in contact with has showed great respect and has all the information we have needed. Thank you for your service and care. I would recommend Stepper to any of our friends . Great experience. Professional courteous service and ready to patiently care for our needs. These things with no pressure sales tactics made us choose Stepper. Thank you. Very satisfied so far, can’t wait for our possession date to come and move in. Overall it has been a pleasant experience from buying the house to being in just over a year. Everything has been really good. In the early process when we were signing off the pricing was a bit tough to figure out the budget. Really had a great experience with Stepper. From Buying, to the walk through, to inspection and warranty. All the designated person are awesome to deal with. What an amazing team. We can’t thank Mary and Christie enough for all their work during our purchase. Their hard work and quick responses and ability to address all our concerns put Mariah and I at ease. They have made this experience enjoyable and it has been a pleasure to get to know them both. 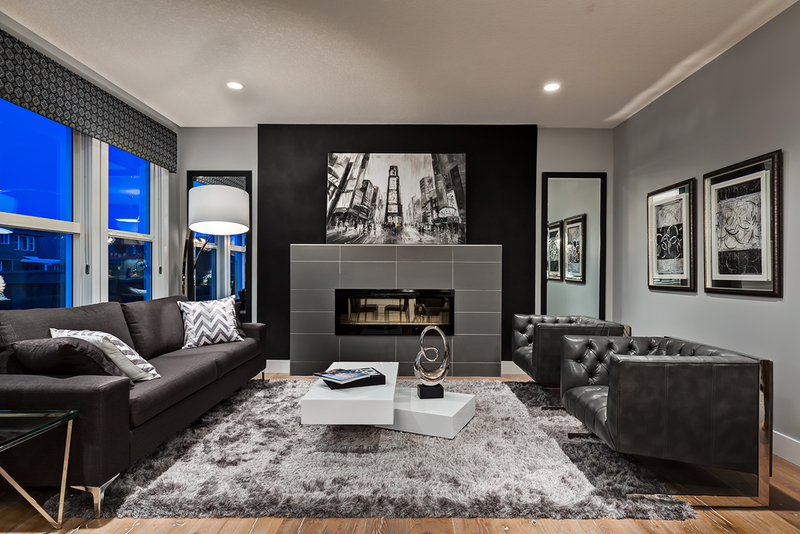 Everyone at stepper homes in legacy did a great job building our dream home. Even with the developer holding lots from being released, we're happy with the over all time construction took to complete. Happy Stepper Customer! Thank you so much. Overall a good experience. Working with Remi and Rob was great, having them explain the way things work was a real help. Lynn and Dennis at the show home were amazing! Very friendly, and just great people to chat with. The ladies were fantastic and everyone who was involved was great! Very easy to get ahold of and quick answers to questions. Jesse has been great at dealing with the issues we have. Just still rectifying some of them. We have overall been very happy with Stepper and the quality of our home. Lynn and Dennis were great and we felt they gave us a personal experience; when we were waiting to confirm transfer of funds for bridge financing, everyone waited almost an hour after the possession time so we could get our keys; Remi and Brad and Jesse were also all great - they were easy to talk with, seemed to really care about our concerns and went above and beyond to address any issues and answer any questions and we felt they were invested in us being happy. Sales team is wonderful (Mary & Christie). Question: why do I (and my 5 neighbours) have to bring my garbage, recycling, and compost bins out to the street while our adjacent neighbours do not (they simply place them at their driveway)? Question: is Stepper involved with the giant Canada flag... it was great having it at our traffic lights--hope one returns to proudly fly. I have built several new homes and have always had the attitude that things will always go wrong but it is how they are handled that makes the difference. it`s clear to me Stepper "get it" in relation to customer service. the best compliment I can pay is if I won the lottery tomorrow i`d be calling Stepper to build my dream house. I am extremely pleased with the quality of the house and the service from everyone involved. Jeremy has been really good to work with, as he makes sure that every detail is taken care of. We added a lot to the house and we anticipated that there would be issues along the way which happen in every build, but Jeremy made sure that anything out of place, was fixed quickly. All the employees of Stepper that I have dealt with are very knowledgable , and great to deal with. I felt the 1st step to the house, when I moved in was way too high and dangerous being olderr. .. So I mentioned it to Jared the construction manager and he added an extra box on the path. Then my neighbor noticed it and his was even higher than mine. It would have been nice if they did the same there. One area that was a bit weaker was the construction clean up, still some garbage around entrance and way : 2x4' , pieces of metal..
Communication and responses were super fast and cordial. Overall we have been very impressed with the pride the Stepper employees have shown in their product. From Mary and Kristie in the show-home to Jared the site supervisor and his team, to John in Service they have been top notch! Great customer service, they genuinely care about making sure we were happy with each and every step. Everything has been wonderful so far! Very excited to get into my new home! So far the experience with Stepper has bin grate! Keep on doing a good job. We are very very happy. We were looking around at other builders and really didn't find anything that we liked. We even looked at resale homes. We were about to give it a break when we found Stepper. It has been a great experience ever since. Outstanding level of service by Jared, Marry, Christie, and John! They were each professional, friendly, and a pleasure to work with. The warranty process seems to be working very well. So far the experience with Stepper Homes has been great! Stepper Homes almost slipped by us as we were unaware of the variety of lots we could choose to stay within our budget. Tyler was very helpful, friendly and provided excellent customer service. Christine was very professional and made us feel very welcome and comfortable in our selections meeting. Looking forward to the next steps. Everything so far has been excellent. I couldn’t ask for a better first home buying experience. Jeff and Megan at the show home in legacy have been amazing. Both have walked me through the process I had no idea it could be this simple and easy. both have always made me feel welcome every time I come in. if Stepper had more employees like this you would never have any issues . Thanks. I am looking forward to moving into my new home. I have owned a Stepper home 10 years ago , I would highly recommend, the one thing about Stepper is the service is amazing!!! The staff are very knowledgeable and friendly. Thank you for helping me find my forever home!!! Steppers entire staff seem to get the fact that customers just want to be treated right, it`s an art that is being lost so it was refreshing to be dealt with so well by so many different people in the same organisation. The Very Happy George Family! We are so thrilled with our home and we are so happy we went with Stepper! They did an amazing job and our home is flawless, I was so impressed at how it turned out and how stress free the process was. A special shout out to Stuart, he was wonderful! Fantastic experience! I was treated like family and I felt that I could trust my builder as they were very honest and amazing people. There is nothing to change as the process is perfect!! We love our first home! I have had a great experience with Stepper. I feel that I got excellent value with my home, and that Stepper has worked hard to ensure things are all running well. Jesse has been an exceptional contact person who responds quickly and works hard to rectify any concerns. Stepper thinks of the little things to ensure customers feel cared for (ie. maintenance labels on furnace, water heater, gas lines etc.). We would strongly recommend Stepper to family and friends. The experience from beginning to end was painless and easy. We were very impressed with the Stepper team; especially with Christie, Mary, Jared and his construction crew. We felt valued and every time we came back to check in on things before move in it felt like being greeted by family. We are super happy with our home, and love the neighbourhood. Our expectations have been surpassed tenfold. We would definitely buy another Stepper home in the future, when we outgrow this one that is. The first floor is squeaking within the first month of possession. Customer service is good and I would definitely recommend. It is yet to be seen how they follow up on their warranty. It has been a very good experience to deal with Stepper Homes. We like the design features of the three townhomes and selected the one that best suits us. Meghan and Jeff were very professional, friendly, and thorough in their working with us. Thank you to both. We purchased a spec home and Tyler was tremendously helpful and willing to accommodate to our needs. He worked diligently with our realtor to get things done in a timely manner in order for us to move in (given a very tight schedule). Everything is good so far. I love it. it was overall a really good experience. Everyone was very nice and very good to deal with. Whenever there is an issue, the builder/sales rep gives you the benefit of the doubt and gives you time to sort it out. There once this time when my second down payment was dishonoured by the bank. The team (accounts and sales reps) gave me ample time to sort it out and get back to them. Have only submitted one thing for warranty so far and haven’t had any issues with the process yet. I have had some experience dealing with builders in the past. Stepper is by far the best of the lot. Nothing. It has worked well from start to finish. We haven’t had any issues with it so far. Thanks for all your hard work! This is the second Stepper home that I have purchased. Mary out in Cochrane has been absolutely amazing! Great experience so far, Jeff and Meghan have be wonderful to deal with. All questions were answered and I feel very confident for choosing Stepper! Service was good, because the Salesperson (Mary) provided all answers and was extremely helpful without being pushy, but just allowed me to make up my own mind. Fantastic! Purchased my first house from Stepper and it was just a fantastic experience. Any time I had questions or concerns they were answered right away and cleared up. This was not a stressful experience at all it was quick and easy. Loved the townhouse at first sight, in particular the green space around the site , the lay out and most of the colour schemes available. Visits to the show homes were always pleasant and you felt welcome every time. We truly appreciate all the kindness and patience you all have extended to us throughout all this process. Everyone on your team has been absolutely awesome beginning day 1 when we we first met Tyler W and Jeff C who warmly welcomed us at the showhome and falling in love with it, when Christine G patiently guided us through the selection process, when Josh was accomodating to our requests, when both Dan C and Sabrina greeted us with smiling faces when we borrow the key, and finally when both Stuart & Jeremy graciously made sure our dream home was everything we have hoped for. Currently, Jesse has made sure that we continuously enjoy our home with his awesome service. We will not hesitate to recommend anyone to Stepper Homes not just because of the homes but more importantly because of the people who make the company. Field staff were great, and were flexible to my busy work schedule and organized contractors so I wouldn't have to be home. We had very specific requirements on a very short timeline, but from the moment we walked into Stepper, Tyler was tremendously helpful. He worked with his colleagues to get us the answers we wanted and accommodated all our needs with a "YES can do attitude". The house we purchased has all the modern touches to it and there is good use of space. we are looking forward to living in our new place and wouldn't hesitate recommending Stepper. Our whole experience with Stepper Homes has been great right from the start, and because of this we highly recommend them to anybody who asks. Mitre joints on window trim are no good. Paint always cracks at joints and repairs never look the same. The style of toilet we received is quite high. Not a fan of touch faucet. Power troweld garage slab. This has caused spalling but not enough for it to be covered under repair. And found a lack of linen closet/storage. For the most part everything has been good with the exception of the issues that we needed fixed. Our relationship with the builder has been good and they have helped us out when they could. I can't say anything bad about them. I love the reps. They did a great job. I have had a couple of things wrong with the house but they took care of them. Nothing, the online process is super easy and convenient. Jesse is awesome and is great at what he does. Everything went smoothly for being such a detailed build, except for one suggestion. During the selections process, all of the vendor's could easily give us upgrade pricing, except for plumbing and lighting. This caused us a lot of stress because we did not get any pricing on plumbing and lighting upgrades until the day before we were supposed to sign off, and wouldn't have had anytime to re-select if we needed to. In the end, the plumbing and lighting costs were WAY lower than what we thought, but there is a clear disconnect between the vendor having no idea what the customer will actually pay and having to simply tell them the retail price and work from there, and then Stepper crunching the numbers and giving the correct builders price only a day or two before final sign off. For example, upgrading the ensuite shower to include a hand shower was going to cost ~$800 according to the vendor, so we decided against it. Now that we know the builders pricing, we likely would have gone for it, but had no time to review and re-select anything that we needed to. This was a minor inconvenience as we were happy with 99% of what we selected, but it's something that could be looked at for improvement for future customers. Noting really, but a nice bottle of wine or some other tasty cured meat would be nice. For real though, you guys have been great. 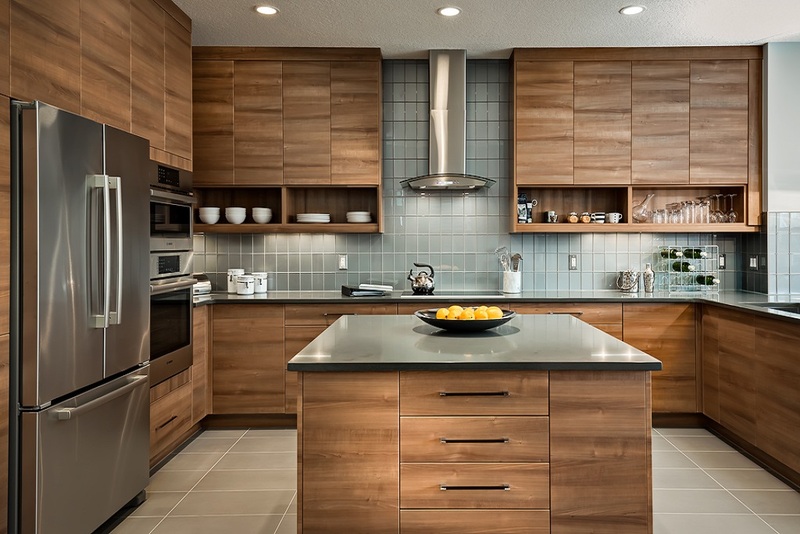 Stepper homes has represented themselves as a very professional and experienced builder. We have had excellent customer service. All details have been handled with diligence. We love the the work that Stepper does in their homes and every detail mattered to us. Couldn't be happier. We really had a good experience with the selection process, which is what we wanted to experience. We found that the stress of the upgrades was minimized because the standard items we quite good. Appliance Budgets should be higher or at least higher if you do wall mounted appliances. The standard granite selections were a bit limiting but we did find something we liked. Closet selection was an issue for us as we do not like the wire shelves, we decided to use IKEA at the time of move in. Stepper should also consider some technology upgrades to homes, Apple or Google home control as some standards. NEST Thermostat and NEST Smoke Detectors. IOT (Internet of Things) could be an upgrade option to make the home more tech. The Budgeting process was quite good but the way it is presented on paper is a bit confusing. A simple three column presentation with Budget, Actual, and difference would make this easier to understand. Overall and good experience. LET THE BUILD BEGIN !!!! We came to visit heritage Hills in early spring and immediately fell in love with the area. I was very happy to know that Stepper was building there. I am in the industry and I had heard lots of good things about Stepper over the years . We tried to make an offer on a couple spec homes but didn't work out due to other offers on the table . Thankfully Mary, Maureen , and Matt were able to find us a lot and the home we were hoping for. In saying that the sales team was absolutely amazing, very courteous, no pressure, and put us at ease with their prompt replies and caring approach. Our selections appointment was also fantastic. I was a little nervous going in to meet with Stuart but immediately felt at ease , and couldn't ask for a better experience. Once our home got started we got to meet Jared, and we can't thank him enough for delivering us a quality home and on time . He was very professional , courteous, knowledgable and can see he does a fantastic job for Stepper Homes . We haven't had to deal with the service end of things yet as everything is good. I'm sure in the new year when we do it will be just as great as all the other stages that's for we haven't had to deal with the service end of things yet as everything is good. I'm sure in the new year when we do it will be just as great as all the other stages thus far . We are very happy that we built with a quality builder, choose a beautiful community, and everyone made this process wonderful for our little family. Thank you to everyone . Everything has been awesome. The only reason I put a 9 for paint is because any kind of scuff mark shows up and does not wash off very easily. I would have preferred semi gloss paint for easier clean up. This was a finished spec home when we purchased it. The customer service has been outstanding and the building quality of the home is of highest standards. Staff at Stepper have been fantastic - especially Christine and Craig. Josh was great to deal with and we are looking forward to working with Remi. Construction delays have been frustrating, but out of Steppers control. Jesse Hogg has been absolutely exceptional throughout the entire experience. Just based on his professionalism and courtesy alone, I would recommend friends to Stepper Homes, knowing that they would be well taken care of. As I think back to when we purchased this townhome, several lessons jump out at me that I'm thankful we didn't learn the hard way. Thankfully we had some great people guiding us along the way (Josh, Meagan and Stuart) Everyone We Have dealt with was fantastic, friendly, efficient and responsive. A huge thanks to Stepper Homes for building us our dream home. Stepper has amazing employees and we are so thankful that we built with Stepper. John has been nothing but amazing to work with for warranty issues and makes it so easy for us. The staff at the show home are excellent and love going to visit them still just to say hi. They are what really encouraged us to buy with stepper. Christy, Maureen and her son were so wonderful to work with. The only recommendation i would give for further builds would be to install lighting into the living room. Although there are big windows in the front, in the evening our living room appears very dark compared to the rest of the house with tons of light. I have had brand new homes before and I have to say this was the most stress free, low pressue experience I've ever had. From the awesome ladies in the showhome who kept me up to date with pictures .. right through the build and posession. Jared is also a real pleasure to work with. He is knowledgeable and quick to respond to questions. You genuinely feel like everyone involved is very keen to make the experience painless and successful. When I decided to go with a builder who has been around since before I was born, I knew there had to be something backing up that longevity .. but I didnt expect it to be this smooth. The Stepper team I worked with is something to be proud of. Thanks again to everyone. Good customer service skills, site supervisor very approachable, always there if needed. Amazing company, proud to have building our new home!!! An amazing team, everyone has been so friendly and helpful so far. Looking forward to being in our new home. Brad Mitchell has been excellent to work with. Brad would always listen to our questions and provide meaningful answers. All our concerns have been addressed and plans were always put in place to take care of repair requests. Kerri and I would like to thank Brad for all his help. Stepper is very lucky to have someone like Brad working for them. No complaints, It has not been a problem getting a hold of John and scheduling work to be done, the one thing that could make it even better for myself would be Evening / Weekend walkthroughs to point out warranty issues would be great. Sometimes it is easier to show someone rather describe it. Working 9-5 Monday-Friday makes this less doable. Everyone has been so nice and has made it a very smooth transition into our new home. Overall, my husband and I appreciate Stepper Homes. We love the warranty service work done- which is a huge consideration in recommending Stepper Homes to others. Matt and Jesse have been very good to us through out our first year! We appreciate them both so much! Tyler was good too and very helpful! There were a few kinks that needed to be worked out along the way this past year, but all is resolved now! We would definately consider purchasing another Stepper home down the road in future. However, for us, we would like to have more input into what// how, we would finish our new home build. Keep up the good work. Fantastic job. If they haven't won an award yet they should. Good builder. Builder of the year for me anyways. Stepper Staff were excellent to work with. We would definitely consider a Stepper Home again. Our home is a spec house built with minimum standards. In our next home our wish list would include upgrading quality of countertops in bathrooms, adding a couple more interior electrical outlets in garage, adding additional exterior water tap at front of house. Also suggest having lever style door knobs on exterior doors. Josh was phenomenal. He provided top notch customer service and was always available to answer questions and meet with us. This is my 4th spec home purchase (first from Stepper) and I have to admit, I very early on in the process recognized a major difference in the quality of customer service. I was also very impressed with the organization, knowledge, and professionalism displayed by Stuart Clare during his initial contact and our mechanical walkthrough. It is evident that Stepper has created a fine tuned process and I am excited to see what's next. Love everything! My one and only complaint is the paint. I'm not sure if it's because it's a flat finish but it leaves so many marks, scuffs and water marks. Tried cleaning it and it just leaves larger water marks. Besides this, I am very happy with the product and service we have received ? Amazing care by Mary and Justin and now will be connecting with Jon. Feels like family! Thankyou!! Only a few things we would suggest. We are not a fan of mulch. But we understand low maintenance(higher maintenance later when it needs to be refreshed). Would have liked to have the option of sod or mulch especially on corner units where it is easy to get lawn mower in and out. 2. As discussed, all exposed wood needs to be covered under eavesdrops. We noticed most units had this very issue as seen from the street. Also, back window well is damaged and now that sod is in it is too complicated to replace. Will always be noticeable from finished basement window. So unfortunate it happened and couldn't be replaced before landscape. Overall we are proud to call this ours!! Love that Stepper gives the blanket! Was a touching humanitarian tribute!! Josh and Meaghan were professional and helpful throughout this whole process. A few of my concerns would be that laminate throughout, soft-close cupboard doors, knockdown ceilings, and matching hardware in the bathrooms should be standard. Other than those minor issues, I’m happy with the sales team and planning team at Stepper. It would also be nice to have two different store to select appliances. I have referred Stepper to a few people at work - and will continue to refer. Our builder Remi was amazing. He cared about us and our future home. He Listened to our concerns and our needs and made us feel part of the process. Recommendation - there needs to be more communication on the project and items when turned over to the builder. Overall great team, products and very professional. Just wish the developer was more cooperative with stepper and owners. Wish there would be someone could come to a conclusion about the fence I have been fighting with them about. The overall experience was great and the staff were very easy to deal with. I felt like they always had my best interest and were very responsive to any questions/concerns I had. Stepper Homes definitely carries that Family Owned company feel and it was a very pleasant process. Overall we are very happy with our experience. The staff at stepper are amazing and we have enjoyed working with them over the last few months. The people we have dealt with have been outstanding. I have sent in an email outlining how happy I am with my decision to invest in a Stepper Homes Ltd. house. Not only has the house been a wonderful addition to my life here in AB but I have also been very impressed with all the Stepper employees I have come in contact with over this past year; all very helpful and happy. I have and will continue to recommend Stepper Homes to friends, family and others I meet along the way. Thank you! My sales representative Josh was/is absolutely amazing! He answered all questions we had and always went the extra mile. He is an asset to your company. Everything so far with stepper homes has been fantastic. Nice to have a detail list of all products installed in the house along with suppliers contact info and warranty details. Both Tyler and Jesse have been absolutely amazing! Never imagined such genuine care for us as customers. Every time a problem was mentioned it was fixed at lightening speed. Such great guys! We also LOVE the cul du sac where we bought into. Tyler from the the show home was also a valuable part of encouraging us in this decision! Overall the experience building our home has been very positive, of course there are somethings we would have added but as it was our first time building and the details we overlooked are minor we are very happy not only with Stepper as a home builder but also on a personal level with the Trades people and Stepper representatives we have dealt with. The individual assigned to deal with building issues was fanominal. He has moved on. He was very good at what he did and he was the main reason why we were confident that things were going to get done and why we would recommend Stepper to other people. We have built homes 3 other times with different builders (Sterling, Carolina, Excel Homes); Our experience with Stepper Homes has been the best. Everyone we have dealt with from the area representatives to the site supervisors has been knowledgeable and easy to deal with. Although we purchased a spec home instead of doing a new build, the designer who picked out the colors and upgrades for our house did a fantastic job. Brad and Taylor have been excellent to deal with. We love the home. There is nothing to change. They are quite good at what they are doing. Our overall experience with building our dream home with Stepper homes has been Amazing! The sales team went over and above to find and suit our needs and wants. My wife and I have been absolutely delighted with Stepper thus far. Craig, Stuart, and Megan were all extremely knowledgeable, organized, prompt with their responses to my many questions and genuinely committed to providing excellent customer service/satisfaction - true professionals! We are very satisfied with the over all experinece so far with all the Stepper Personel. Great work everyone! Looking forward the the build process. "I have a few comments as to why some of the things were ranked on the lower end from me. Carpet: Is good quality. It's only ranked lower for me because we bought a show home, I do believe our carpet is more warn than if we would have built our own home. Something to consider for next time. I have had some disappointment with some of our appliances. We have had a few little glitches with dishwasher and washing machine/dryer. But as well, my dryer stopped working exactly one month after the warranty. As disappointing as it it, I realize that that is not on Stepper as they have more restrictions on their contract with appliances. Overall, I found everything with Stepper quite reasonable and reliable." Overall very happy with the process. I know that no new build is going to go 100% perfect without any issues, it is how these issues get dealt with that matters and so far all of our concerns have been addressed and it has not been an issue getting them resolved. We have found all the staff on your team to be very helpful and easy to deal with! Thank you. More exterior things that need to be wrapped up. Also still have the roofer strap still up on our roof that needs to be removed"
Great first year, nothing to complain or worry, everything working as planned/designed. We are very happy with Stepper's workmanship and high quality product. Great customer service as well (especially by John Der, warranty supervisor, who always provides great input and advice on how we should best maintain our home). We definitely feel confident on Stepper and would certainly recommend it to our friends and family. Everyone was great. I do have a couple of suggestions. In the basement bedroom is a large sump pump box. I would recommend that you discuss with the buyer putting a built in base for a mattress for the bed. One that can be lifted to access the sump. I can't put a bed in there the way it is. That would have been a nice touch. Also, very little furniture can be taken downstairs. I had to leave my lazyboy sofa and recliner that I paid a lot for because it simply cannot fit down the stairs. The experience has been awesome from the beginning with Mary and Maureen in sales helping us find the right fit for our family. They knew what we were looking for, and what we could afford, and were able to get us a lovely house we didn't think was possible! Moving to selections with Megan was seamless, with the same treatment. Jared has been a terrific site supervisor to deal with, and I would receive the updates, and not have to call him. He runs a great team with his assistant Connor, and are always friendly to myself and children when I am out doing my day to day things. We have met our warranty supervisor John, and he has been pleasant to deal with so far, and it feels like another smooth transition into warranty. Thank you for a wonderful home! "Stepper has provide an incredible home at a very affordable price. Their service was top notch, and I would build with them again without reservation. We appreciated all of the support in purchasing our new home. The site supervisor (Tyler) answered all of our questions and made sure that everything was done to a high quality. Extremely please with overall customer service. From local sales team to on site builders. Brad has been great to work with via any warranty work. "We have been very happy from start to finish. Whenever any concerns came up we were not only taken seriously they were dealt with quickly and to our satisfaction. We appreciated the sales team, Jeff & Tyler, sending us updates and going so far as to take pictures to email to us on the progress of our home. We were given several upgrades at little to no charge which were wonderful. Our superintendent Tyler Davidson was amazing. He not only agreed with the corrections/deficiencies on our walk through but also pointed out several of his own he noticed. We really felt we were being looked out for at this moment. We have already had several parties at our new home to which everyone raves about our beautiful kitchen. We have and will continue to tell others about our Stepper home and positive experience. "Stuart and Brad were awesome and I was extremely impressed with their high level of customer service. They are both a great asset to your organization. Any negative answers were a result of the sales process"
Staff are very friendly and accommodating, thank you Stepper Homes. I have had an amazing experience thus far with Stepper. Tyler was awesome to work with and Brad/Matt have been great as well! I would definitely recommend Stepper homes! Both of us our so happy and proud of our new home. The fit and finish is excellent and shows that Stepper Homes employees really care about the quality of their workmanship. Every stage of our dealings with Stepper homes was completed on time and in a very professional manner, and left both myself and my wife feeling like we were not only valued as customers, but as friends. Amazing team! Jared and Maureen provided the ultimate experience for our first home and a huge reason for the success of our purchase! "The people we dealt with were fantastic. We still drop into the show homes regularly to chat with the sales guys. I was a little disappointed with the soil quality - some areas of the yard would not even yield weeds. Also, the area at the back of the house is very wet all of the time which suggests poor backfill after the foundation was set - our neighbours have the same problem and were told that there was nothing to be done as the grading certificate was stamped.We just hope this does not impact the foundation with freeze/thaws although this is a big concern for both us and our neighbours."